Move over LEGO, here’s something greener! Play from Scratch lets kids be the ones to design their own playtime with a series of sustainable toys. Made from wood fiber and soy-based inks, the collection of connecters, blocks, cards, and tubes encourage recycling and craft. It’s toy building and constructing taken to the next level due to a variety of open-ended components that enable children to create outside the blocks. Play from Scratch creator Jeff Freeland Nelson believes that creativity and sustainability are vital to the design of a good toy. Instead of adding so many bells and whistles that children have little room to use their brains during play, Nelson reduces his products to the most basic elements. “At Play from Scratch, we believe creative kids become adults who thrive. We want to inspire kids and adults to build big ideas through open-ended creative play. We see the world as a place full of possibilities and resources that can be used to solve problems and create fun,” he says. Playthings come in a range of kits including boxes filled with tubes, blocks, tape, and cards featuring suggestions for building projects. 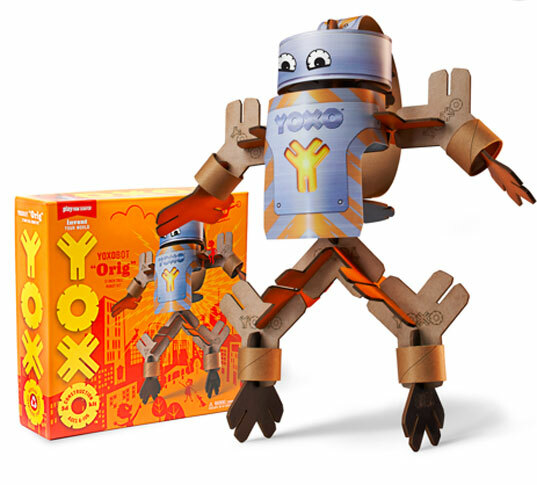 The YOXO connecters offer Y, O, and X-shaped elements that link together household items like discarded toilet paper rolls, cardboard, newspaper, and silverware. Robot and To Go sets come equipped with connectors, stickers, and pre-made shapes to jump-start imaginations. Play from Scratch toys are available through their official website, and prices range from $13-$60. Avoid Black Friday crowds and opt to have an earth-friendly and mind-stimulating toy sent directly to your door! Move over LEGO, here's something greener! Play from Scratch lets kids be the ones to design their own playtime with a series of sustainable toys. 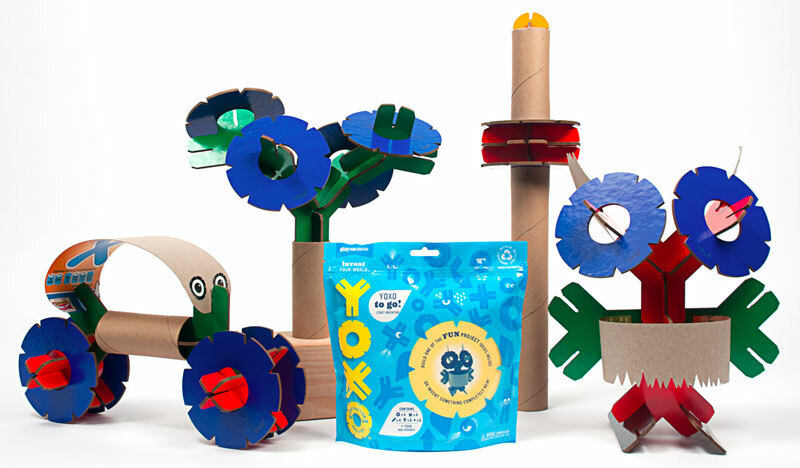 Made from wood fiber and soy-based inks, the collection of connecters, blocks, cards, and tubes encourage recycling and craft. It's toy building and constructing taken to the next level due to a variety of open-ended components that enable children to create outside the blocks.